Chee Keong LOW (‘CK’) is an Associate Professor in Corporate Law at The Chinese University of Hong Kong Business School with research interests in issues pertaining to corporate governance and the regulatory framework of capital markets. His research, which has published in journals in Australasia, Europe and the United States of America, is supported by private sector grants from Sino Group and Tricor Services. 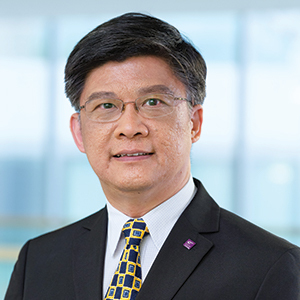 An Advocate and Solicitor of the High Court of Malaya, CK is currently a member of the Process Review Panel of the Financial Reporting Council as well as of the Standing Committee on Company Law Reform in Hong Kong. He was previously a member of the Listing Committee of The Stock Exchange of Hong Kong from May 2006 to July 2010; the Financial Reporting Review Panel from July 2007 to July 2013; the Securities and Futures Appeals Tribunal from April 2011 to March 2017 and served as a Director of the Asian Institute of Finance in Malaysia for three years through April 2012. CK is a Council member of the Hong Kong Institute of Chartered Secretaries and a selection of his papers is available at www.ssrn.com/author=332882. Chee-keong Low and Tak-hay Low (2018), “The Business Judgment Rule: A Safe Harbour for Directors?” Journal of the Malaysian Judiciary, January 2018, 159-191. Chee-keong Low and Tak-yip Low (2016), “When is the board accountable for delegation and reliance? : A case study of the MTR Corporation Ltd in Hong Kong,” Australian Journal of Corporate Law, 30, 285-303. Chee-keong Low and Tak-hay Low (2014), “Disclosure of Price Sensitive Information – The Peculiar Case of the MTR Corporation,” Hong Kong Law Journal, 44, Part 3, 735-758. Chee-keong Low and Samantha Datwani (2013), “Hontex – a settlement of convenience?” Law & Financial Markets Review, 7(2), 75-87. Chee-keong Low (2012), “Insider Dealing in Hong Kong: One Country, Two Systems?” Company and Securities Law Journal, 30(1), 70-78. Chee-keong Low, Mohan Datwani, and Samantha Datwani (2012), “Pouncing Dragon Hidden Tiger – A Case of Regulatory Overreach?” Hong Kong Law Journal, 42, Part 3, 701-716. Chee-keong Low (2009), “Cornerstone Investors and Initial Public Offerings on The Stock Exchange of Hong Kong,” Fordham Journal of Corporate and Financial Law, XIV(3), 639-678. Chee-keong Low (2009), “Silence is Golden – The Case of CITIC Pacific in Hong Kong,” Hong Kong Law Journal, 39, Part 1, 285-311. Chee-keong Low (2008), “Extending The Black Out Period On Share Trading By Directors In Hong Kong: In Whose Court Does The Ball Lie?” Company & Securities Law Journal, 27(3. Chee-keong Low (2008), “Is the Standard of Care of Directors Inverted in Hong Kong?” Hong Kong Law Journal, 38(1), 32-49. Chee-keong Low(2008), “The Statutory Derivative Action: Now Showing Near You,” The Journal of Business Law, 7, 627-661. Chee-keong Low (2007), “Initial Public Offerings and Interest Income in Hong Kong,” European Business Law Review, 18(3), 559-583. Chee-keong Low (2007), “The Duties of Directors in ‘Irrationally Exuberant’ Initial Public Offerings,” Virginia Law and Business Review, Spring, 2(1), 89-142. Chee-keong Low (2004), “A Framework for the Delisting of Penny Stocks in Hong Kong,” North Carolina Journal of International Law and Commercial Regulation, 30(1), 76-120. Chee-keong Low (2004), “A Road Map for Corporate Governance in East Asia,” Northwestern Journal of International Law and Business, 25(1), 165-204. Chee-keong Low (2002), Corporate Governance: An Asia Pacific Critique, Sweet & Maxwell Asia. Bee-Leng Chua, Hugh Thomas, Kevin Yuk-fai Au, David Ahlstrom, Cheung-kwok Law, Shige Makino, and Chee-keong Low (2002), Global Entrepreneurship Monitor Hong Kong 2002. Chee-keong Low (2001), “Revisiting the Regulatory Framework of Capital Markets in Malaysia,” Columbia Journal of Asian Law, 14(2).